It was founded in the 1968 and is the largest aerospace center in Croatia. Because of its two runways it is able to accept aircrafts regardless of weather conditions. Zadar airport is specialized in acceptance and maintenance of firefighting aircrafts. It is also the base of the Croatian Air Force and is authorized for education and training of professional pilots. In 2007 the passenger's terminal was expanded due to new routes established over the airport and since 2008 it has a VIP terminal which makes it a favourite among wealthy guests and their private aircrafts. 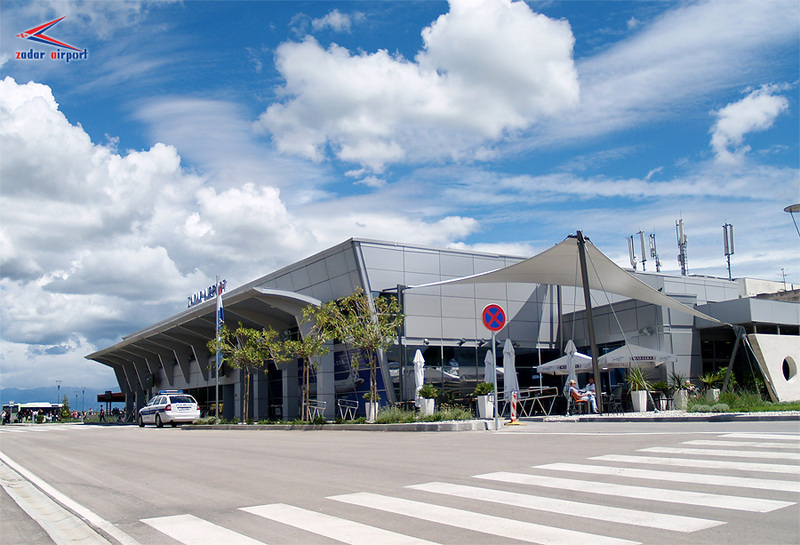 How to get to Zadar airport? Departures from Zadar old Bus Terminal (bus parking under the city walls) to Zadar Airport. Buses from the Zadar Airport depart from the front gate of the international arrival terminal. Croatia Airlines has an arrangement with Liburnija which provides transportation from and to the airport. The buses from Zadar depart one hour before take off. The bus stop is located on Liburnska obala, near the Lancana vrata.